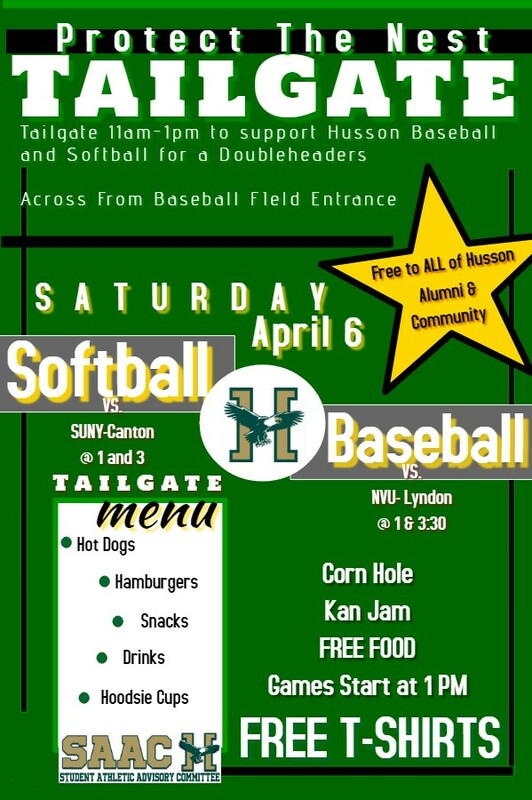 Saturday, April 6th is a big day for athletics at the campus Husson University. The day starts at 11 a.m. as the Student-Athlete Advisory Committee (SAAC) will host a ‘Protect the Nest Tailgate.” This event is free to attend for all those in the Husson community as there will be food, t-shirts, and games including Kan Jam and Corn Hole. Food will include hot dogs, hamburgers, snacks, drinks, and hoodsie cups. The tailgate party will take place near the golf facility in the grass across the street from the Dr. John W. Winkin Sports Complex. Both Husson softball and baseball doubleheaders start at 1 p.m. as the baseball team will host Northern Vermont University-Lyndon for the first game of a four-game series over the weekend. The baseball doubleheader at the Harold Alfond Diamond will be broadcasted by the New England School of Communication as the video production students will be doing a live broadcast. “I think it will be a cool opportunity for everybody involved. It will let us in the sports journalism program get some hands-on experience working the T.V. 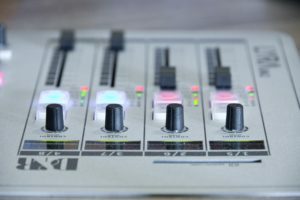 equipment in a more TV centric environment, and is a good way for video students to get the experience, as well,” said Cole Hurlbert, who will be doing the color commentating for the doubleheader on Saturday. The NESCom broadcast will aired at https://portal.stretchinternet.com/husson/. Unlike a normal broadcast of a Husson Eagles home event; there will be about seven cameras on the action instead of one camera that stays in the same place. The broadcast will also feature replay which is unlike anything on a normal livestream. There will also be a sideline reporter for the doubleheader which is something a normal Husson game would never have. As for the on field action; Husson baseball are winners in their last four straight including a 6-5 victory over Colby College on Wednesday night in 12 innings. The baseball team is 6-1 on the homestead and will look to continue the red hot action versus a Hornets team who beat the Eagles, three of four times last season. The only win that the Eagles recorded over NVU-Lyndon was a no hitter in the Eagles’ season finale. NESCom doing the baseball games allows for the normal equipment to be used for the softball games on Saturday which means both softball and baseball will be live streamed on Saturday which would not normally happen with only one camera and broadcasting equipment. Husson softball team will finally be able to play their first home games of the season as they host SUNY Canton for a North Atlantic Conference doubleheader at hopefully O’Keefe Field. The softball team has only played two games since returning home from the Spring break trip back in the middle of March all because of weather. The softball team was supposed to scrimmage Southern Maine Community College for a doubleheader as well play a doubleheader at Newbury College but both of those have been called off and as of today will not be made up. For the latest on the tailgate party visit the event on Facebook at https://www.facebook.com/events/425291598223882/.